I have been sitting on this news for too long! Merry Character Photography has grown AGAIN! Last January I hired Holly to be our Lead Family and Children Photographer. I cannot even put into words how amazing she has been the last year. I think that she deserves a whole blog post on just her….so that will come at a later time! 😀 2018 was an absolute crazy year for me and Merry Character Photography. I had my sweet baby, who I do not blog about often enough, and hired Holly, traveled back to MT for weddings four times in 4 months, and all while Evan was going through one of the most grueling jobs. It was nuts! As I started planning for 2019 and for my life ahead I realized the amount of work I wanted to do and physically and mentally could actually do were definitely different. I want to be able to serve everyone who inquires for their wedding day with me, but it just isn’t possible for me to do it by myself….. and that is why and how MERRY CHARACTER PHOTOGRAPHY GREW! 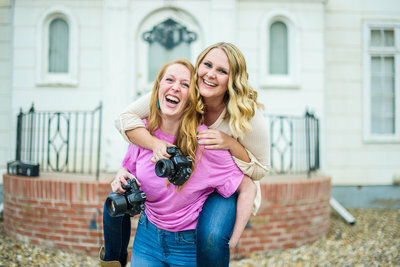 Introducing my wonderful, my sweet, my totally amazing Associate Wedding Photographer Bri Fox!! Bri seconded for me for two whole summers. She has over twenty weddings under her belt and already has weddings on her schedule for 2019! She brings the same bubbly, bright energy my wedding couples are used to getting with me behind the camera. She also brings a creative eye and the knowledge from working two wedding seasons and extensive training by me on how we run our wedding days! Bri’s couples get the almost exact experience my couples do with me! They are spoiled rotten leading up to their wedding date, they are showered with love and hugs, and they receive the bright, bold, fun-filled images that our Merry Character Couples love and expect. Now when you inquire with Merry Character Photography for your wedding date and I, Mary, am unavailable or already booked, you will have the option to book Bri for your wedding date! I keep saying it, but if you have dreamed about me as your wedding photographer and I am unavailable, Bri is literally the next best thing! You will absolutely love her and our wedding experience. We can now serve more Brides and Grooms on their happiest day and IT IS THE BEST THING EVER FOR MY HEART!!!! The next best thing? Bri’s wedding day packages start at $2000! If you are recently engaged, contact us for more details and snag this rockstar for your wedding day!! aaannnddd…..through January 1st we are offering $200 off all wedding collections!